View The Claim Company’s carry-out, dine-in, catering, party, gluten, vegetarian and dairy free menus from both Vernon Hills and Northbrook Court Locations. *Reservations may still have a short wait. The Popular Claim Company is Back! The Claim Company restaurant was created by Jim Errant in the early 70’s. He opened his first location on Clark St. in Chicago. It became an instant hit. Jim’s creation was centered around a salad bar and a build your own gourmet hamburger – both of which were very new ideas for the times. The décor was a southwestern, gold mining theme with the Motherlode Burger highlighting the menu. The Chicago Claim Company was situated on two levels of a small building at Clark and Belden. The main floor consisted of the bar and cocktail area and the dining room, salad bar and kitchen were on the second floor. It only sat about 50 people. 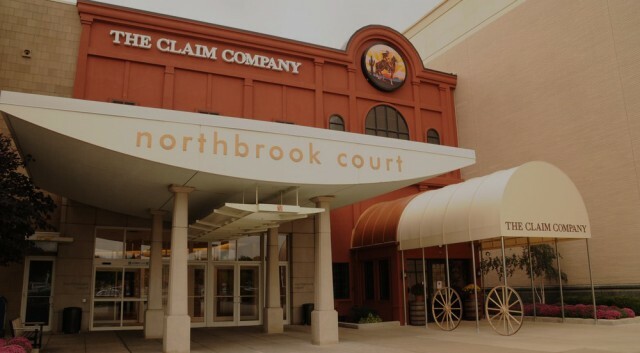 In 1979, Jim opened the next outpost of The Claim Company in the relatively new shopping center, Northbrook Court (1976) between Neiman Marcus and Lord and Taylor. Jim used the talents of Spiro Zakkas to design a futuristic version of the southwestern mining concept that he created in Chicago. While the Northbrook location was much larger than Chicago, it was not large enough for the anticipated crowds Jim felt he would attract. Jim and his design team made great use of the space by designing multiple levels for dining, going vertical to increase the seating capacity. The Northbrook Claim Company was widely recognized for its unique appearance and design by the restaurant community. The NorthShore began an instant love affair with the Motherlode and Salad Saloon. It became the gathering spot for families and friends. If we only had a $1 for every couple who said their first date was at The Claim Company! In 1981, The Claim Company headed West – at least as west as Oakbrook. 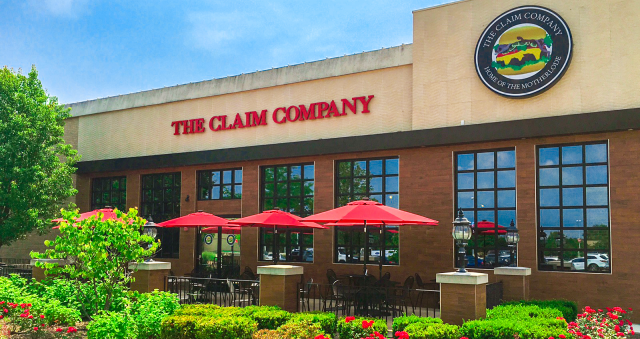 The Claim Company opened in the Oakbrook Center. This unit was even larger than Northbrook and became the “hot spot” to be seen on a Friday evening. 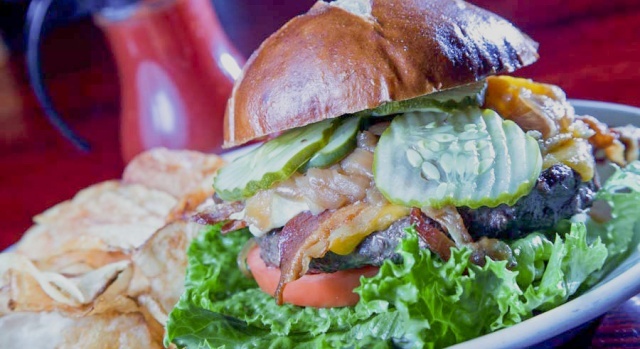 The concept stayed focused on what made it successful – a great burger & a clean fresh salad bar. The Claim Company continued to be successful during the 80’s and into the 90’s. The success attracted a national interest. In 1994, Jim sold The Claim Company to an East Coast company who had plans to expand the concept outside the Chicago market. Due to a number of unfortunate factors, the company was unable to complete the expansion and eventually had to close the existing units in 1997. We all spent many years working for Jim Errant at a number of his restaurants. Jim had a deep passion for this business – he knew it took great food, at a reasonable price with outstanding people to make a restaurant successful. We hope we have enabled you to relive some memorable moments from the past and once again enjoy a great burger and a clean, fresh salad bar. Please visit the “Historic Wall of Pictures” located in the host area to see photo’s and other memorabilia from the history of The Claim Company.